This paper provides a dynamic inter- and intra-city analysis of spatial and temporal patterns of urban land-use change. It is the first comparative analysis of a system of rapidly developing cities with landscape pattern metrics. Using ten classified Landsat Thematic Mapper images acquired from 1988 to 1999, we quantify the annual rate of urban land-use change for four cities in southern China. The classified images were used to generate annual maps of urban extent, and landscape metrics were calculated and analyzed spatiotemporally across three buffer zones for each city for each year. 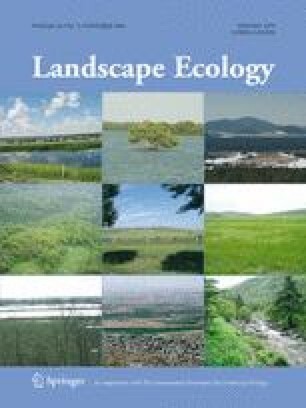 The study shows that for comprehensive understanding of the shapes and trajectories of urban expansion, a spatiotemporal landscape metrics analysis across buffer zones is an improvement over using only urban growth rates. This type of analysis can also be used to infer underlying social, economic, and political processes that drive the observed urban forms. The results indicate that urban form can be quite malleable over relatively short periods of time. Despite different economic development and policy histories, the four cities exhibit common patterns in their shape, size, and growth rates, suggesting a convergence toward a standard urban form.